Being, in my opinion, one of the most underrated bands in metal, South Carolina’s Lecherous Nocturne have returned with the release of Behold Almighty Doctrine. It has been five years since the release of their last album, The Age of Miracles Has Passed, and it is clearly evident that the band has progressed in that span of time. The biggest change to me is in the vocals since former vocalist, Jason Hohenstein, was replaced by former member, Chris Lollis. Both vocalists have different styles with Hohenstein have a more raw, old school sound compared to Lollis’ stronger and profound screams. Nonetheless, I found that Lollis’ vocals perfectly complimented the shredding guitar work of Krieshloff Lofgren and Ethan Lane which ultimately puts this album in my top ten releases of this year. Starting after the intro with Ourboros Chains, my first impression was that I was listening to a different band entirely. I didn’t think Lecherous Nocturne could possibly sound any heavier than they already do, but they proved me wrong by adding extra helpings of heaviness to every song on this album. The band has such a unique playing and writing style, however, which I feel makes them stand out from the rest of the more modern death metal bands today. They basically did a phenomenal job at using other bands as influences rather than trying to carbon copy them, and this is probably the reason why they are so underrated. One song on this album that stood out to me was Those Having Been Hidden Away only because of the intro. It was one of those intros that really just get you into the song just from starting out so strong, and that feeling continued through the rest of the song until the end when they finish wish a breakdown. An actual breakdown, mind you, and not the typical deathcore breakdowns which are completely unnecessary for the song. I also love the instrument that follow, Prelude #2, which is then followed by Judgments and Curses. I feel the that three instrumental tracks on this album compliment the rest of the tracks, which are all under 4 minutes in length, and keeps the album short, sweet, and to the point. Again, this is definitely in my top ten metal albums of 2013. Lecherous Nocturne has never disappointed me with their music despite various lineup changes and progression seen throughout the band. Everyone should listen to this album at least once or maybe a thousand times. This band definitely deserves more recognition for their amazing talent and I hope nothing but good things for them in the future. The band is working on the follow-up of their debut “An Excellent Servant But A Terrible Master” (released in 2011 via Selfmadegod Records) and it’s expected to be out early next year. 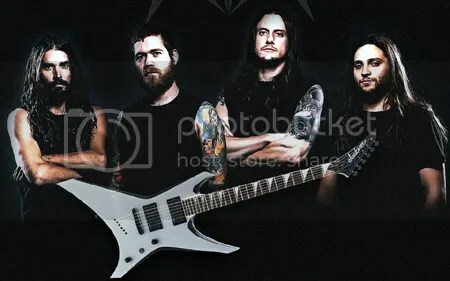 Naming their 4th album after themselves may not be very original, but apart from that, nothing seems to deserve being criticized in this “Revocation”. The thrash is more aggressive, the death is sharper, the prog is fiercer… every aspect is a notch or two more consistent. Their best feature has always been the guitar work and the shredding-meets-technique of every track is remarkable – even if some riffs sound a bit familiar. Let me point a few highlights: “The Hive” made it to single, probably because it’s the most ferocious track in the album, the most straightforward in terms of brutality. The latter is less brisk in “Archfiend”, the guitars more polished, including a few moments of an acoustic one towards the end, leading to a fluid old school solo. “Fracked” has a very heavy metal initial rhythm, that eventually evolves to something more progressive and – once again in the solo – returns to a more classic and melodic tone. “Invidious” is the most exquisite and experimental track, blending everything that technical death is about with some banjo chords and gang vocals. There’s also a djent approach with the instrumental “Spastic”, and whoever gets the deluxe edition can also enjoy a very loyal cover of Metallica’s “Dyers Eve”. I confess I was hoping for a little revamp of the guitars, but there’s no significant changes there. But that’s just a cover, after all – what they had to do with their own songs to achieve a status of excellency, it was certainly done. 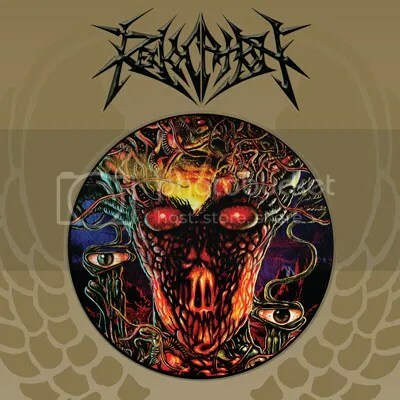 Revocation‘s new and self-titled album will be released this Monday (5th August) via Relapse Records, but thanks to the collaboration of the band with Terrorizer, you can already stream it fully here. 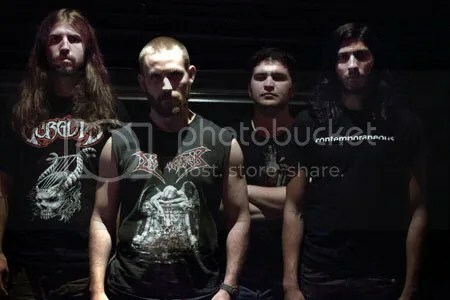 “Revocation” is their fourth album, first featuring bass player Brett Bamberger, after the departure of founding member Anthony Budda last year. In another news, also a video for the track “Invidious” will soon be released. It will feature live footage from a sold-out gig in their hometown Boston, filmed by David Brodsky (Municipal Waste, Whitechapel, Kylesa). Parisian As They Burn have released a music video for Dream Collapse, from their new studio album, Will, Love, Life. An introduction to their blend of groove-oriented technical-death metal, Dream Collapse is an ode to crashing dreams and forgotten plans for the future. You can view the video down below. Directed by Tuan Nguyen of Ping Pang Films, with lights and visuals by Nonotak Studio; Dream Collapse is artfully and visually brutal in an anti-psychedelic, holographic way. 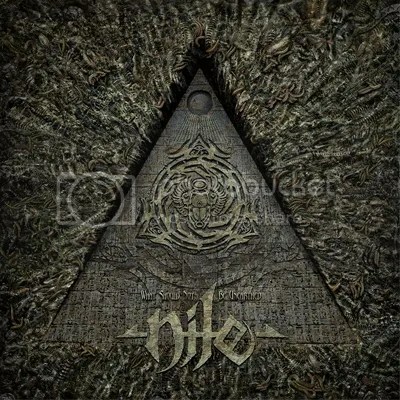 It is as mesmerizing as it is epic, perfectly showcasing this hypnotically abrasive, ethereal song. 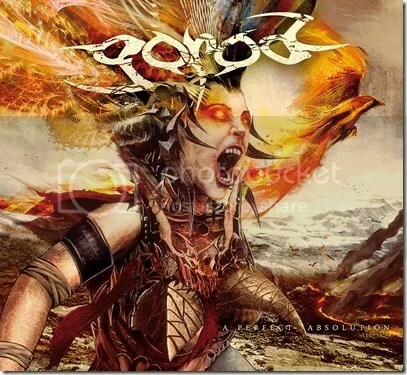 French progressive technical death metal act Gorod will embark on their first Japanese tour in June 2013 in support of their latest album A Perfect Absolution. Gorod will be supporting The Crown on this tour, along side Japanese tech. death outfit Gotsu Totsu Kotsu and more.